Not really knowing what ‘street food’ is, I thought I’d give ‘Andy Bates Street Feasts‘ a whirl. Half a hour later I was kinda none the wiser. 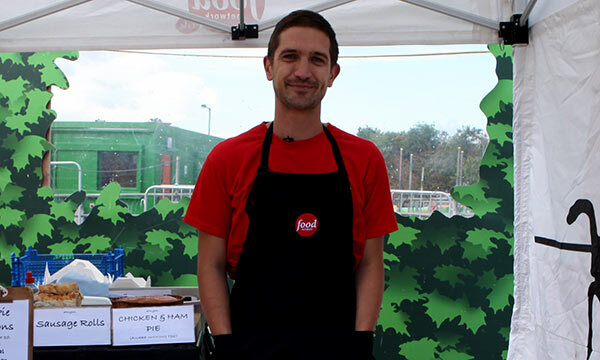 The Good Food website introduces our host thus: “Andy Bates, aka Pie Man, is known for his hearty, traditional British street food which he sells on his stall at Whitecross Street market”. Until recently I worked quite near to the market but never ventured that far for my lunch. Shame really, I will take a trip sometime soon I’m sure. Programme wise we’re subjected to funky music and numerous ‘coming up next’ montages along with a promise to show us “grab and go grub” [eye roll]. Mr Bates takes us on a culinary trip to Wales and St Davids Market where he chats cheese and selects three to use for his cheese and leek quiche. “This cheese is made with love and dedication so it’ll taste GREAT!” I think it takes a little bit more than that, Andy. He relocates to a kitchen and declares, “let’s start building a quiche!” This is very similar to a HF-W recipe I regularly use and the finished article looks pretty darned messy. Is this street food? 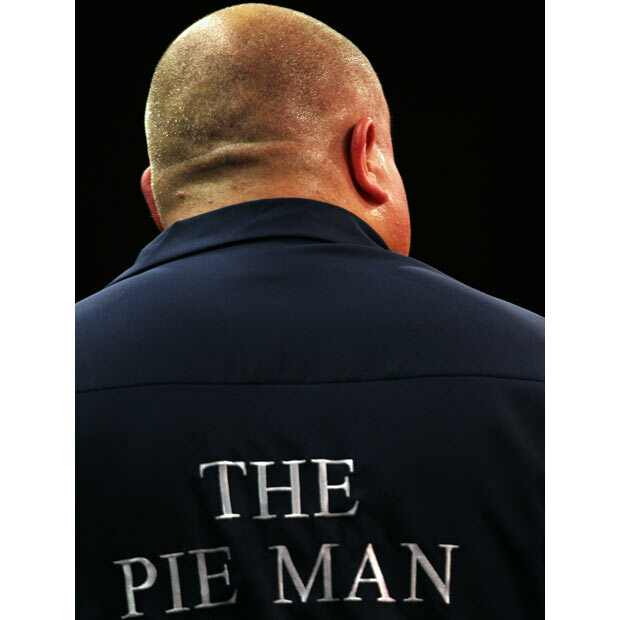 The Pie Man Andy Bates not to be confused with Andy Smith. Now, I love a good pie and I also love a vegetable or two, so this was sounding promising. It was a great looking pie and even the gelatine aspect (aspic 🙂 ) of it didn’t phase me. Overall, the programme improved as it was in danger of falling into the Naked Chef/Aaron Craze style of nonsense. Good job, Pie Man. OK, I guess it’s just me. I prefer the idea of sitting down and eating my food – eating chicken noodles while walking or munching my burger while stinking out the 243 bus is not my idea of fun. Maybe I need some more fun in my life.